Inspired by our best-selling theatrical panniers, the Eve mini panniers are the ultimate dress up accessory and will transform you into a fantasy wonderlust in a second. With a multi sized elasticised waist band they are super fun to wear and easy to adapt. Constructed from firm tulle net with boning for support and finished with Japanese duchess satin casings. Silver metal trims finish and soft black elastic to finish. They concertina away for easy and discreet transportation. 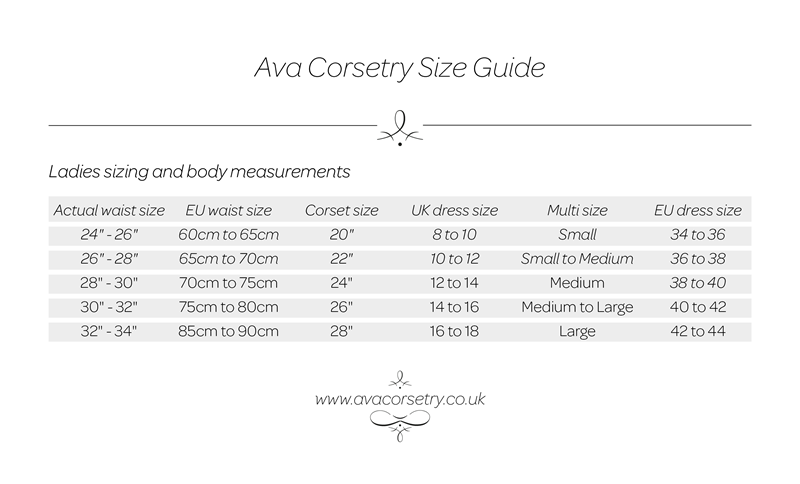 Our wonderful corsets for an adventurous night out, or in! Perfectly complemented by your favourite lingerie & stockings.